I got this game just to tide me over till i buy SF2T (if it does get released). and i got to say i have gone back to play this game a lot more than i thought i would have, good purchase! Woah, I nearly downloaded it without reading this! Sounds slower than I thought, guess I'll wait for turbo then! The only reason I won't regret getting this is if they release Turbo: Hyper Fighting or Super SSII. 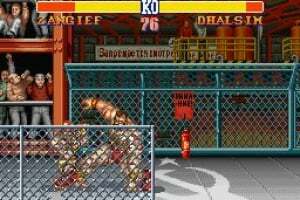 This is rubbish in comparison, you can't even play as Sagat or any of the other 'bosses'. I love this game! One of my fav games ever. I was so jel of the SNES when they got this game as I only had the megadrive at the time and I had to wait till Championship ed. I have to say i havent noticed it being slow at all. I play this all the time my fav on VC. 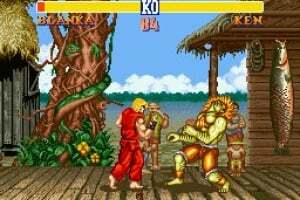 Definitely wait for Street Fighter II Turbo Hyper Fighting on the SNES. Only get this if you don't have the patience to wait for a better version. 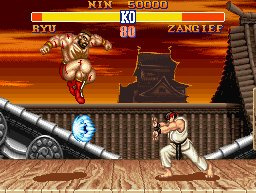 Bamboo, Balrog was never the name of the last guy. U.S. Bison = Jp Vega. 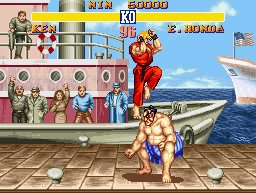 U.S. Vega = Jp Balrog. 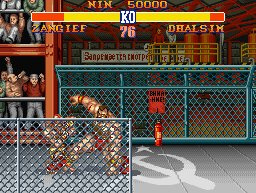 U.S. Balrog = Jp Bison. Thats the way its always been. SNES-Fans know what Street Fighter II was back then. 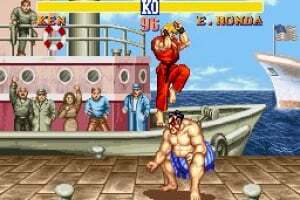 The best fighting game! This was once the best!! Classic sure! Download it? 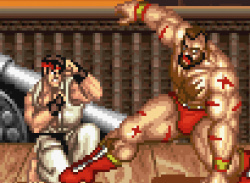 Heh heh.. only if you liked the music more than in the other versions and must not play as balrog, vega, sagat, bison. When it was new: 5 Stars! And now? I personally would say wait at least for Super Street Fighter II. It had much better overall graphics (while these sure aren't bad) and the double amount of fighters. 3 Stars! I've had enough of waiting, should I just go ahead and download it? I don't mind the slowness to be honest, as long as it's not stupidly slow..
Don't do it, Mendez! Turbo will be here soon! Still my favorite fighter ever! Beats them all. Even over the later versions, Zweck and Thermoss? 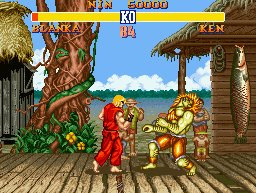 Compared to SSFII: TNC, this game is very slow and the low amount of fighters to pick from is almost laughable. World Warrior. I don't believe I can recommend this game. I can however recommend SSFII: TNC. 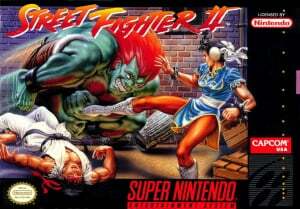 i love all street fighter games there awesome! so are the new ones. this game is apretty good fighting game. its not as good as turbo hyper, but that game is my favorite fighting game on the snes. 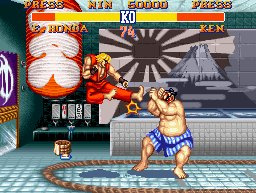 I don't like this version of Street Fighter II because it's to slow. I still got this game today though I rather play SFII Turbo over this. For a game that features no speed option, no mirror match, and no selectable bosses, this version was quite good. One SF2 is enough. Why'd they have to release more than one? On the VC? Because they exist and Capcom likes to make as much money from Street Fighter as they can. Everyone should download Super over this. 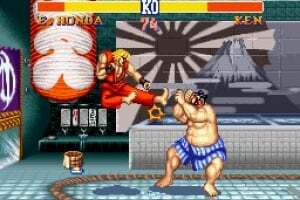 If you're talking about in the early nineties then its because Street Fighter II was a massively popular game and Capcom knew a good money maker when they saw it. They still remake it today. There's no reason to download World Warrior or Special Champion Edition. Turbo Hyper Fighting and New Challengers are much better options. why do Capcom release this version when they can release the Arcade version instead,it doesnt make sense,its far superior to this version. Because people will download it still. Five years later and we're still waiting for the arcade version. Indeed, we're even still waiting for Nintendo to allow arcade games to be released on the Wii U. 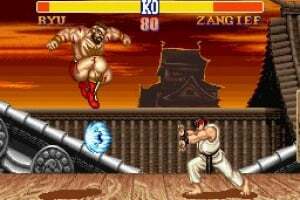 There are some differences that are unique to the original Street Fighter II. I still haven't downloaded this but I'm considering it. On Wii U of course.